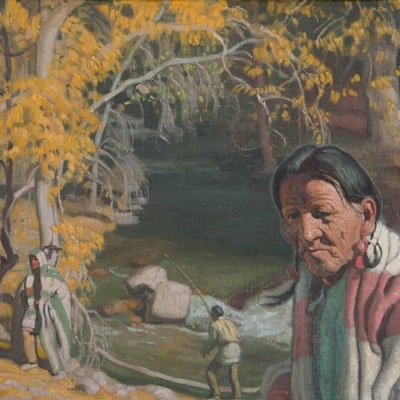 Ernest Martin Hennings was born in Pennsgrove, New Jersey to German immigrant parents. Early in his childhood, the family moved to Chicago. In Chicago, Ernest became intensely interested in painting, studying at the Art Institute of Chicago for five years before graduating with honors and receiving the Clyde M. Carr Memorial Prize, the Martin B. Cahn Prize and the "American Traveling Scholarship," which he declined in favor of beginning a career in commercial art immediately.